They just float around on your gum tissue. Unfortunately, denture adhesives quite often don’t work as well as their commercials claim. Your mouth is literally crippled because you can’t eat! Dr. Korenman of Loveable Smiles in Richardson explains that the mouth really isn’t built to support dentures. Dr. Korenman can support those dentures with implants to give them something solid to hold onto and they simply snap into place. Dental implants supporting your dentures won’t pinch your gums or slip around. How many implants does it take to support dentures? 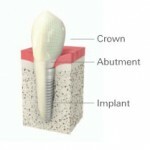 Bone is what holds the implant in place and the greater number of implants gives more security. 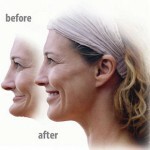 If someone has enough bone structure, we can implant 4 – 6. In some cases, patients have lost their jaw bone structure due to gum disease. The good news is that even if we can use only two implants, that can enough to anchor the denture and give patients a huge improvement in life. With adequate bone structure we can place enough implants so that implant supported dentures will not require a palate so you get your taste back! Additionally, you’ll be able to feel hot and cold drinks again. Dr. Korenman of Loveable Smiles has invested in the advanced technology of the NewTom VG3 Dental CAT-scan which allows him to view an anatomically accurate 3D image of the patient. This helps him to determine if there is enough bone for long-term function and stability, the location of nerves, and sinuses and helps determine if implants can be placed safely and predictably. With the advances in implant dentistry now available from Loveable Smiles, you can soon be eating what you want, when you want, and where you want. Your facial muscle tone will be restored. You’ll put 20 years of life back in your smile. You’ll regain the self-confidence and quality of life you lost when you lost your teeth. The reality is that a missing tooth has a dangerous domino effect in your mouth. When natural teeth are lost the damage goes well below the surface of the gums. The bone that once supported and surrounded those roots starts to deteriorate immediately and painlessly. All the other teeth start to shift which causes the bite to become out of balance which leads to damage to the teeth, muscles and joints. The opposing teeth begin to shift into the gap causing more bite pressure imbalance and damage . 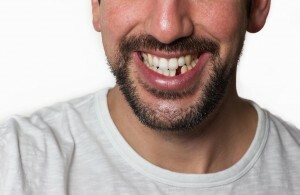 The teeth on either side of a missing tooth will start to lean into that gap. When teeth don’t line up correctly they don’t have the proper stress distributions, so they are getting overworked and over-stressed. The bad news is that you don’t feel this domino effect. Unfortunately, over time this misalignment can make it difficult to keep your teeth clean which can contribute to cavities and gum disease. 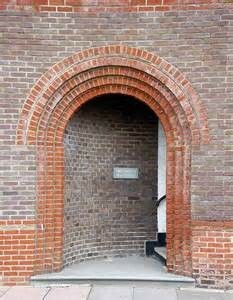 If you take a brick out of an archway and come back in a year, you won’t be able to put that brick back in its place because everything has settled a bit. Perhaps the archway hasn’t fallen down, but it’s certainly not going to last as long as the arch with all the bricks in place. When you have multiple missing teeth, bone resorption (shrinkage) occurs which causes the face to collapse. These changes can become so severe that they make the person look many years older than they actually are. 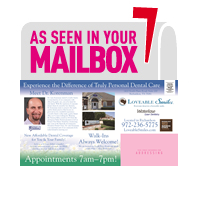 Dr. Korenman of Loveable Smiles can help with dental implants and other methods of tooth replacement. It’s now July and the year is half over. If you made a resolution in January to take care of your health the good news is that there is still time to have a healthy and confident smile by the end of the year. With either Dental Implants or Invisalign. 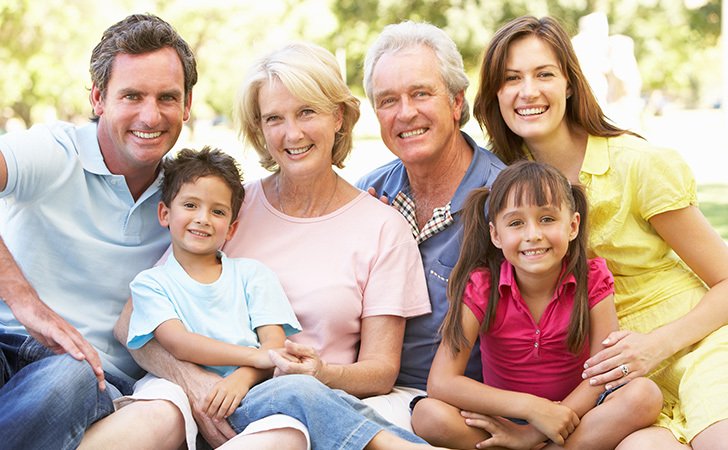 Simply stated, dental implants reconnect people with what they’ve lost. Youth. Self-esteem. Confidence. Function. Happiness. The joy of kissing! Replacing missing or damaged teeth can reconnect with you with the real you and can also greatly improve your general and oral health. Dr. Korenman of Loveable Smiles in Richardson provides Invisalign - The modern approach to straightening teeth without metal brackets or wires. Misalignment of teeth is the most undiagnosed reason of many health issues including headaches and discomfort with chewing or biting. Together we can make 2015 your best year ever! Poor oral health is generally associated with shame and guilt. Can you relate to any of these terms? Can you relate to any of these people and their shame? 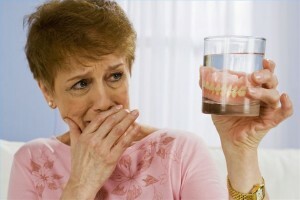 A Grandmother who is desperate about her ill-fitting dentures and anxious about being exposed as toothless. She loved to treat her extended family to a grand Sunday feast but never joined them at the table. A man who knew people were disgusted by the condition of his mouth, and how they were reluctant to look him in the face. Another man whose smile made people recoil with disgusted looks on their faces and turn away. Dr. Korenman wants you to know that you are not alone and there is no reason for you to suffer any longer. Dr. Korenman of Loveable Smiles in Richardson has helped hundreds of patients who have felt this same shame and embarrassment due to ill fitting dentures or missing teeth. Learn how your life can change for the better by bringing back your sparkle and confidence. Click here to learn about the life changing benefits of dental implants on our website. 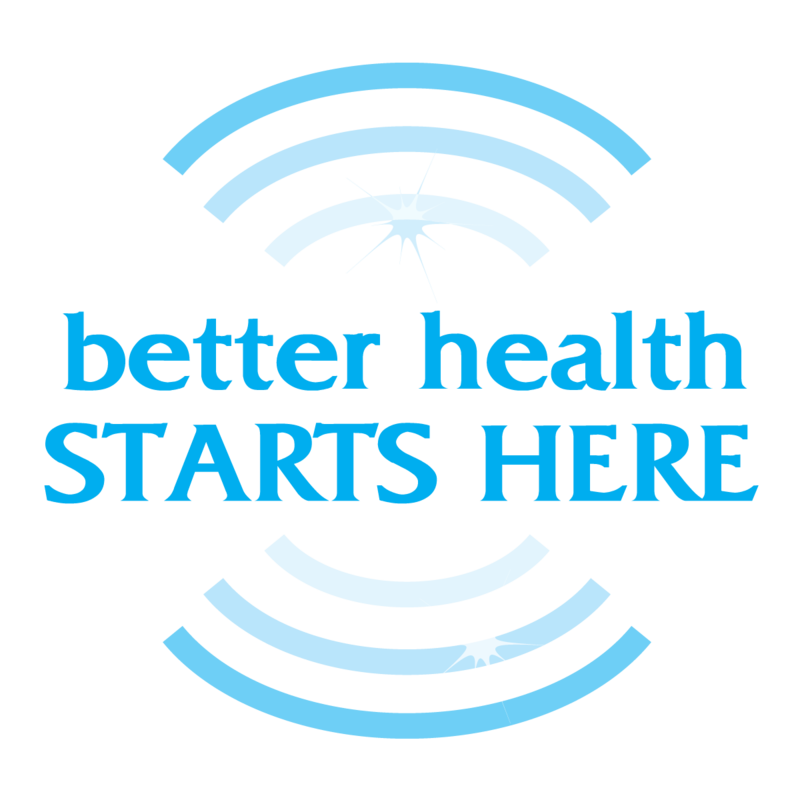 Please call 972-231-0585 for your complimentary consultation. 30 million Americans have missing teeth. That’s one out of every four drivers on the road. 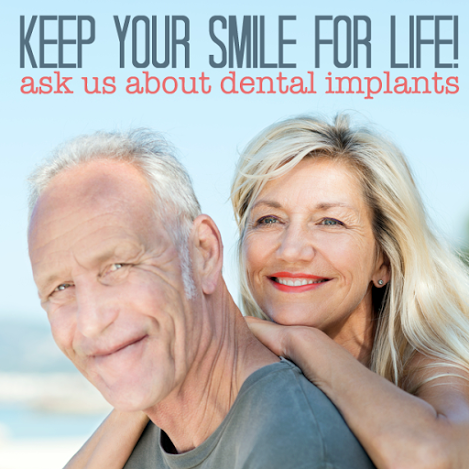 If you have missing teeth due to injury, disease, or decay, dental implants may be a wonderful solution. And thanks to the advancements in dentistry techniques and technology, virtually anyone can be a candidate for dental implants. There are few things in life as exasperating as a toothache… Except, perhaps, a missing tooth. Let’s face it – a missing tooth can not only mar your looks but can also cause considerable difficulties eating, besides other assorted health effects. 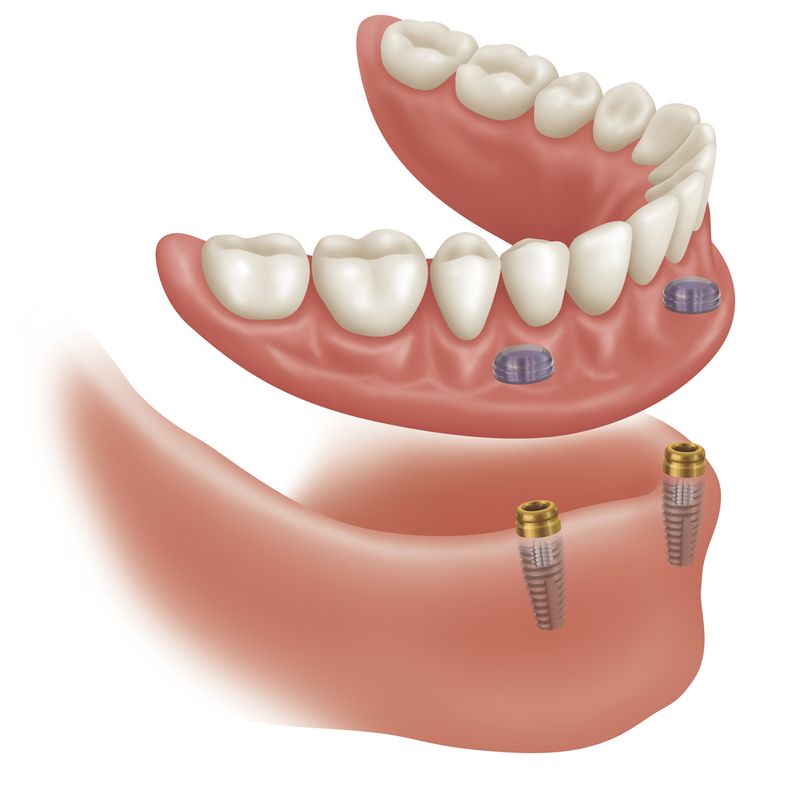 Dental Implants are an ultra-secure tooth replacement solution that Dr. Korenman offers in our Richardson practice. 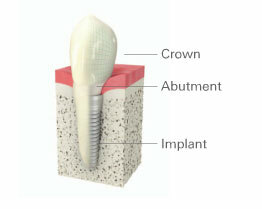 Dental implants are titanium roots placed directly into the bone of the jaw to restore missing teeth. If you are missing teeth, dental implants will restore lost oral function and aesthetics, and with proper care, they can last a lifetime. 1. 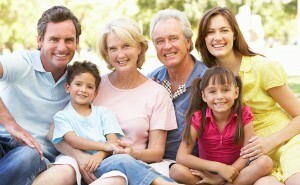 An ideal option for people who have lost a tooth or teeth due to periodontal disease, an injury, or some other reason. 2. Dental implants improve your appearance. 3. They are permanently fixed in the mouth; so you may brush your teeth once again without having to deal with the embarrassment of removing your teeth. 4. Allows you to return to the comfort and function associated with natural teeth. 5. Eating is no longer restricted to softer food items; you can chew freely. 6. Eating harder foods like apples poses no problem at all. Increased chewing ability means you can enjoy more fibrous and nutritious foods, contributing to your overall health and well-being. 7. Dental implants can be brushed and flossed just like regular teeth. 8. They help you speak without difficulty. 9. You no longer need to think twice before smiling. 10. With proper care, they can last a lifetime. Dental Implants: Getting back what you have lost! When natural teeth fall or are lost the damage goes well below the surface of the gums. The bone that once supported and surrounded those roots starts to deteriorate painlessly. That’s why it’s so vital to replace the tooth root with a dental implant which becomes integrated in the bone, and thus, preserves it. The bone forms a bond to the implants which then function as natural tooth roots – providing a solid and permanent foundation for biting and chewing. With the advances in implant dentistry now available from Loveable Smiles, you can soon be eating what you want, when you want, and where you want.